Paul Davies works with curiosity, integrity and a deep interest in developing trusting relationships, working from a whole person perspective. This embraces development work with individuals through to organisations and communities. He has worked in a variety of jobs and organisations, primarily supporting people served by the public sector. This has included jobs as a direct care practitioner in a local authority and in a number of voluntary sector organisations. Subsequently he took up a number of senior management positions in the voluntary sector, local and central government and in the NHS. These have included director, CEO and regional roles, leading on significant change initiatives, transforming social systems and deep engagement with workforce development and leading edge practice. Since the 1990s he has also consulted for a variety of national organisations – designing and facilitating leadership development programmes, facilitating action learning sets, service reviews, development work and other change projects. Paul has a long standing interest in action research and ways of working with people and groups that really promote increased self-awareness, deep learning, greater participation, engagement, collaborative inquiry and action. 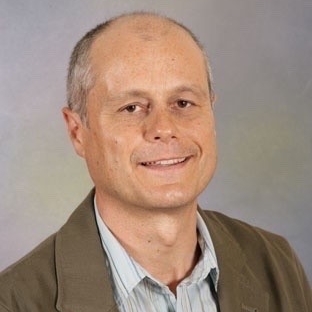 His interest in action research, inquiry based learning and in particular Cooperative Inquiry, Gestalt in organisations, Appreciative Inquiry and more relational practices goes back 15 years to his studies and praxis at the action research school at Bath University. Since leaving the Department of Health in 2011, he has been consulting around the UK and has developed further his interest and practice in inquiry through completion of the organisational consulting and change programme at Ashridge Business School. As part of this he went on a US study tour to Case Western Reserve University, the home of Appreciative Inquiry, and studied at Schumacher College in Devon, exploring a more holistic and embodied practice and a deeper connection to the natural world and our planet. Paul has been engaged in a number of consultancy initiatives and contracts making use of a full range of a collaborative inquiry and holistic approaches as a means to explore strategy development, individual, team and organisational impact and effectiveness. He has an MSc in Public Service Management, an MSc in Organisational Consulting & Change from Ashridge Business School and a postgraduate diploma in action research from Bath University (including learning on facilitation in groups). Paul has worked with a number of individuals in a coaching relationship to raise their self-awareness, support their development and tackle challenging issues. Paul has developed his own coaching practice through an ICF accredited programme in Gestalt coaching.